This year, the theme of our Festival CinémAnimé Cross is "Endangered animals in Ontario". 1) Students should form groups of 2-3 participants. 3) Your storyboard needs to have three scenes. a. 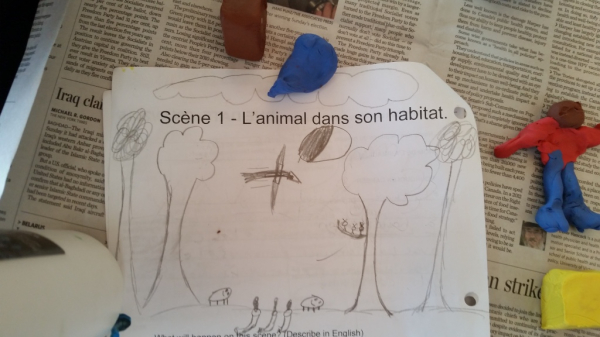 First scene: The animal and its habitat. b. Seconde scene: An issue that threatens the animal existence. c. Third scene: A message or solution to minimize the problème. 5) Each animation should be no longer than 40 seconds. 6) In the narration, the animation creators must include the name of the animal, the problem that threatens its existence and the proposed solution to minimize the problem. 7) To submit your animation, upload it to your Google drive and share it with paixaol@tcdsb.ca . 8) The deadline for submissions is November 30, 2015.